Are you looking for a delicious beef recipe with a difference? If you are, you’ve found it! Here’s my italian style cheeseburgers with coleslaw cups for you to enjoy. 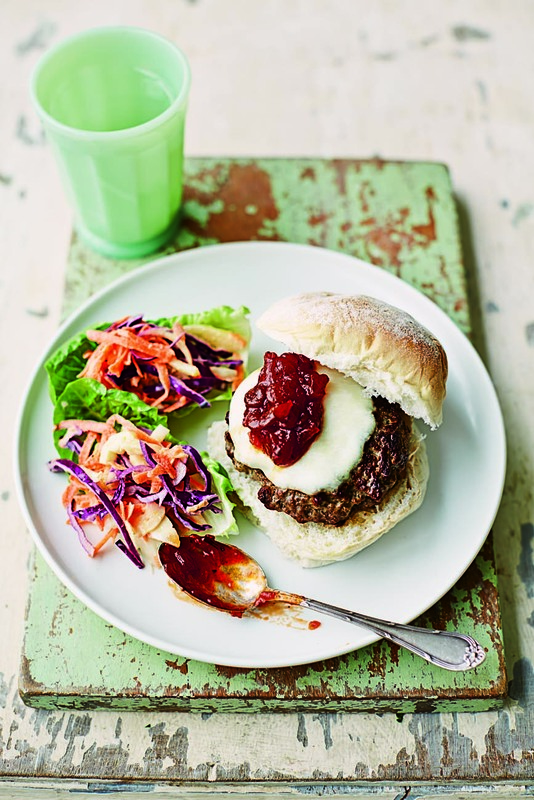 Feast your eyes on the finest italian style cheeseburgers with coleslaw cups! It’s straightforward and fun to make this great dish. Simply follow the instructions below and get the perfect result. Preheat the oven to 150°C/gas 2 and put a griddle pan over a high heat. Mix the minced beef and mustard in a large bowl. Try not to crush it with your hands too much as this makes the burgers too dense. Season well with salt and pepper and divide the mix into four. Shape into burgers about 2.5cm thick. Put the burgers onto the griddle pan and cook for 4 minutes on one side. Meanwhile, put the buns on a baking tray and pop them into the oven to warm through. Mix together the wholegrain mustard, mayonnaise and lemon juice in a large bowl and season with salt and pepper. Add the carrots and fennel to the mayonnaise mixture. Stir everything together and set aside. Turn the burgers over and top each one with a slice of mozzarella. Continue to cook for 3 minutes. Mix the cabbage into the coleslaw mixture. Break the baby gem lettuce into individual leaves and fill each one with some of the coleslaw. Remove the buns from the oven and cut in half. 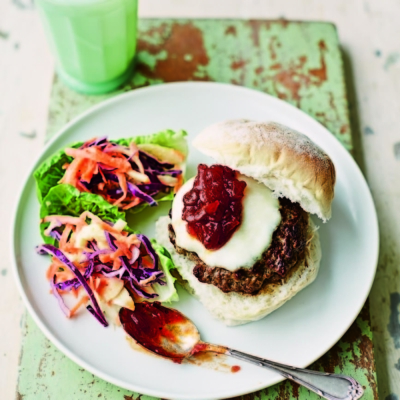 Place a burger on the bottom half of each bun, then top the melted mozzarella with some tomato chutney and serve alongside the lettuce coleslaw cups. 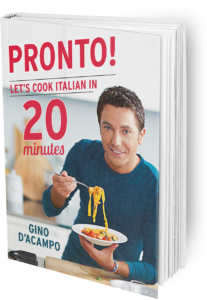 Once you’re done, simply sit back and enjoy your italian style cheeseburgers with coleslaw cups and don’t forget to check out other great authentic Italian recipes including great antipasti recipes, Italian pasta recipes, Italian soup recipes, Italian beef dishes and authentic pizza recipes.